The first time I saw this book I thought that the legendary Chinua Achebe has written a new book but when I went through the name again I realised it was not him. After a little research I found out that the author of this book Chinedu Achebe is actually a new writer of Nigerian origin based in the USA. His first novel Blunted On Reality is mainly about the story of a young man called Obi who emigrated to USA at the age of 8 years old with his family because his father who is an engineer was transferred to work in Houston. Growing up as an African-American Obi was taught that he had to make a positive impact in his community. Naturally, he dwelt on this idea that when he was approaching the age of 30 years old he was afraid of not being able to accomplish his goals, because he felt he hasn't met his soul mate yet and he needed some inspiration from somewhere or someone. In short he had that fear most young adults have when they are getting close to the age of 30 years for example doubts; ...whether they are really living up to their expectations or up to society ideals, if so, then what is the next step? All in all, I liked this storyline although; hence, I strictly recommend it to adults because the writer used a lot of profane words to describe Obi and his friends' sexual lives. Some of which, I think were unnecessary. Moreover, quite a few grammatical errors are found in this book and one could consider it a pet hate. 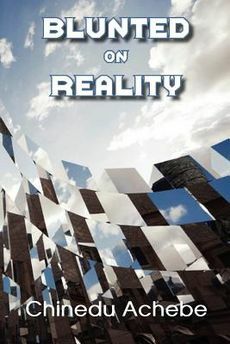 Blunted on Reality is a book if was thoroughly edited and work shopped before publishing would have turned out to be great indeed, so from my point of view, it is a diamond in the rough. At the same time we should not forget that this is Chinedu's first book. Funny enough I read the name as Chinua Achebe though I've heard of Chinedu Achebe. I think he contacted me or so. Not sure but I've seen the book's cover. Thanks for the review. Yes, sometimes a bit more editing would do. Nana.. anytime. In the second place I even thought he was his son or something but, no they are not related Achebe is a common Igbo last name just as Okeke. Yes, most of the times a lot more editing could be necessary, take your time, exercise patience and go for it. We all make mistakes. I think you have done a fine and fair review, Mary. Errors like that can be quite a put off, I agree. The issues raised in the book are quite compelling too, I must say. Thanks for sharing. Celestine, thanks for the comment. I think it is importan to publish a book with less grammatical errors as possible, all writers owe that to their readers. Hey Kboy, I know what you mean. I know it is hard to be compared with Chinua Achebe, especially when it comes to writing book. Share book reviews and ratings with Mary, and even join a book club on Goodreads. Lillian Akampurira Aujo on Babishai Foundation 10th year celebration. Advocate Thuli Madonsela Set To Publish an Autobiography with Pan Macmillan South Africa! Copyright (c) Mary Okeke Reviews 2012 - 2017. Theme images by mammuth. Powered by Blogger.